Sum of Infinity (∑ ∞) was founded by David Varga. David has a long history working across screen culture, arts, media and technology sectors. David has directed short documentaries for the Guardian and other European and US news mastheads, and his feature length film Audition Colorée (Hearing Colour) was selected for screenings at major film festivals. He is a former producer for television (SBS and Foxtel), was Senior Media Adviser at Austrade for North East Asia and EMEA, and has managed media for Vivid Sydney. In 2015 David completed a Doctor of Creative Arts (DCA) at the University of Technology (UTS) in film and sound. 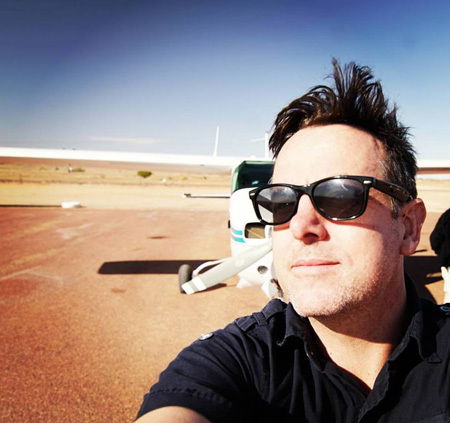 He has lectured at the Australian Film, Television and Radio School (AFTRS) in the Master of Screen Arts degree, and teaches sessionally at UTS in Transnational Media and Media and Power, as well as other media and cultural theory subjects. He has held senior media strategy roles on major Australian initiatives for the Beijing 2008 Olympics and managed the international media launch of Australia's then national brand 'Australia Unlimited' at the Shanghai 2010 World Expo. As a writer and media specialist David has been awarded two PRIA commendations, and a National Marketing Institute Award for Innovation. An experienced speechwriter, David has written hundreds of speeches for federal and state ministers and industry leaders. He has also received an Australia Council for the Arts grant for literary fiction and has contributed articles to a wide range of publications. ∑ ∞ also works with a team of specialists whose skills are employed specific to each project as required.